Note:Do not use any sealing material. 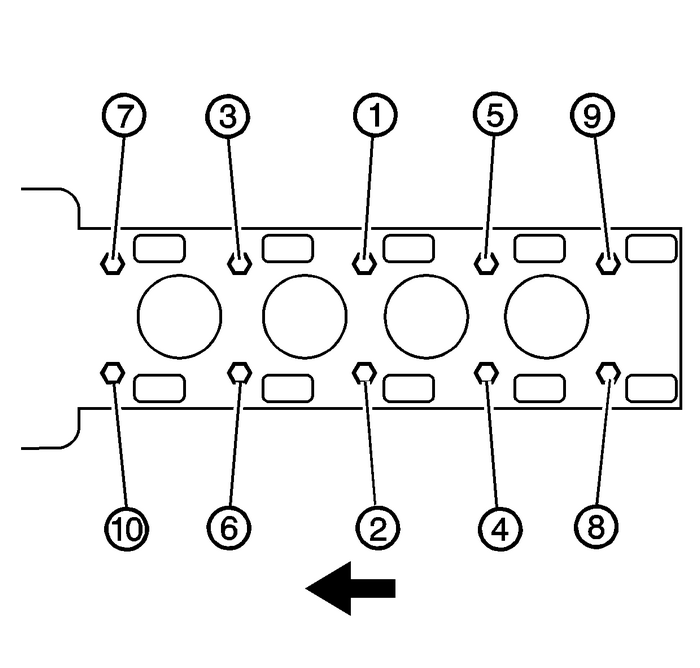 Install the cylinder head gasket to the block.Install the cylinder head. 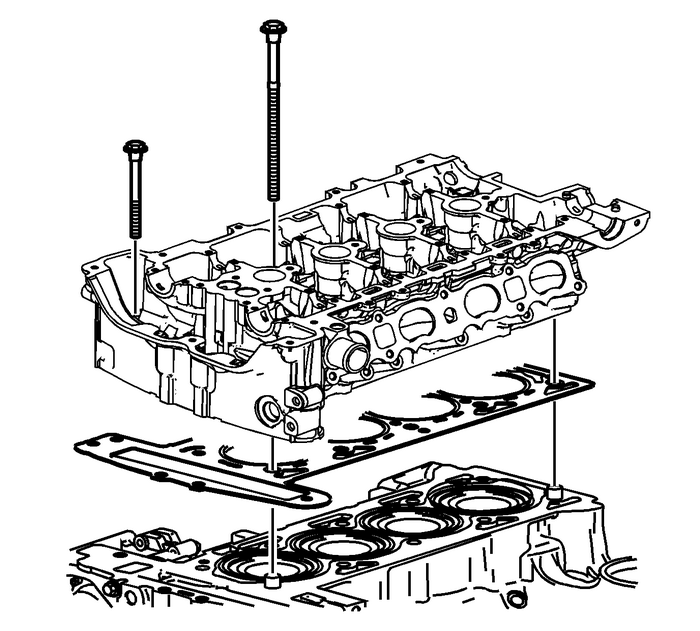 Ensure the number1-cylinder is at top dead center-(TDC). Thekey on the crankshaft should be on top in the 12-o'clockposition. Note:Always use NEW cylinder head bolts. 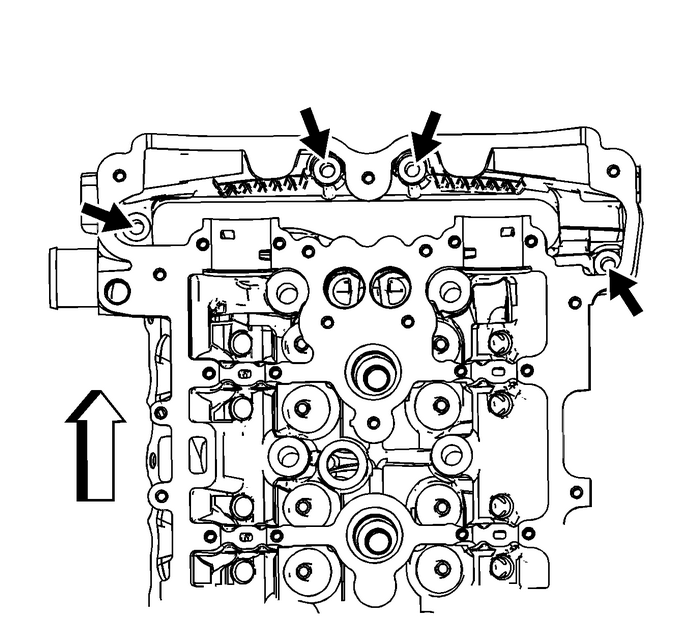 Install the cylinder head bolts.Tighten the bolts in sequence to30-Y(22-lb-ft).Tighten the bolts an additional155-degreesin sequence usingtheEN 45059meter. Install the front cylinder head bolts and tighten to30-Y(22-lb-ft).